Questions on your player's league age for the spring? Please click this image to expand. 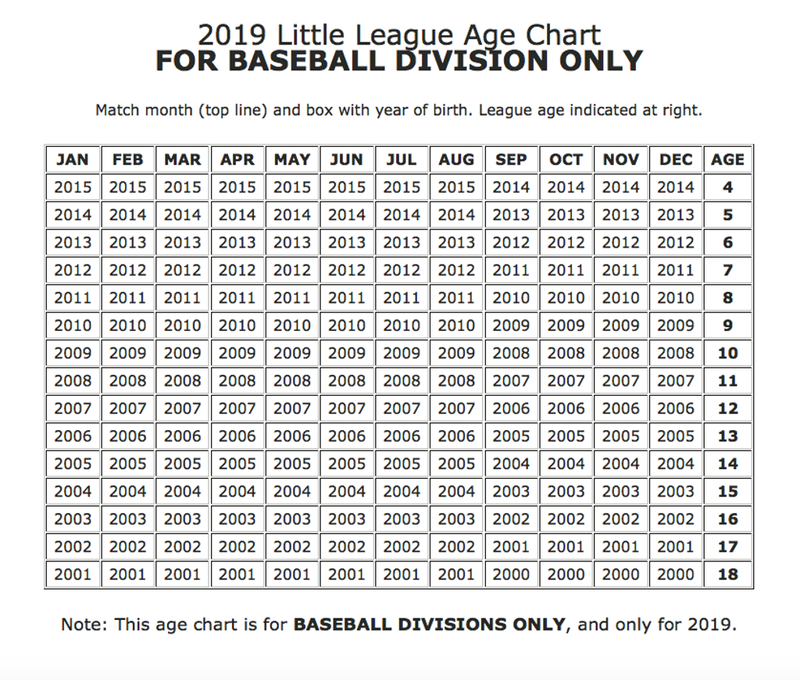 Find your player's league age here! Here are some important dates or timeframes related to registration. Welcome to Spring 2019 Registration! We are looking forward to hearing "Play Ball" in the New Year. Please read the following notes and once done, scroll down to click the red "Register:2019 Spring Registration" button to register. The Volunteer Application process is more streamlined this year. Upon successful registration, potential volunteers will be emailed a link where they can securely and privately complete a volunteer application online. The result is less paper. Now please go ahead and click the red button below to register! 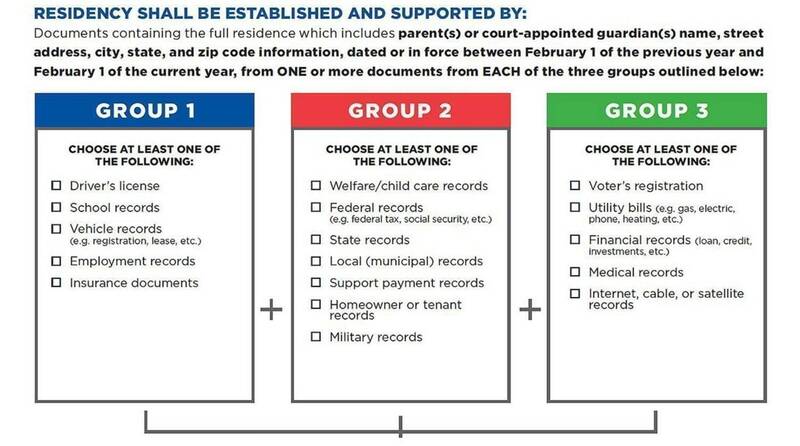 Questions about Residency/School Eligibility documentation? Please click on the image below to expand.